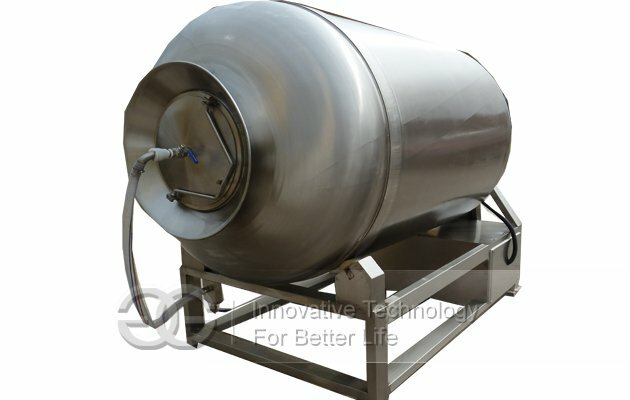 Mainly used for food processing laboratory, Institute of food engineering laboratory, school canteens and catering industry. 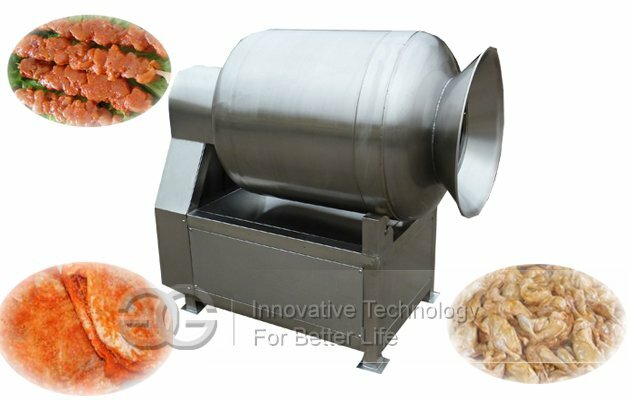 This vacuum tumbler machine can make the meat tenderizer and soft, and improve the grade of the meat. 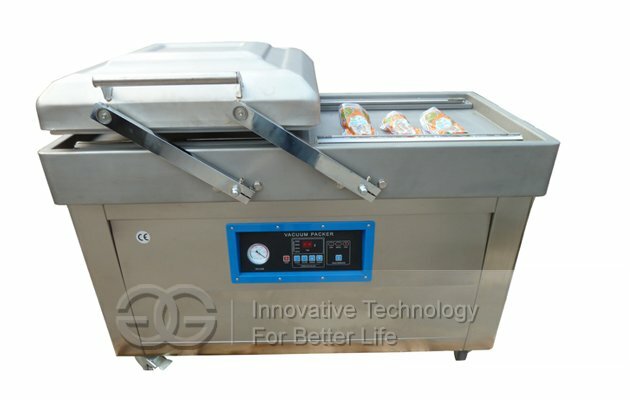 Vacuum roll kneading machine isunder vacuum condition, by using the principle of physical impact, let the meat turning up and down inside the cylinder, collisions, throw, etc, to massage, curing effect, make the meat uniform absorption pickled.This machine also has the Lung respiratory function, improves the flesh structure of the organization, Increase the production rate. 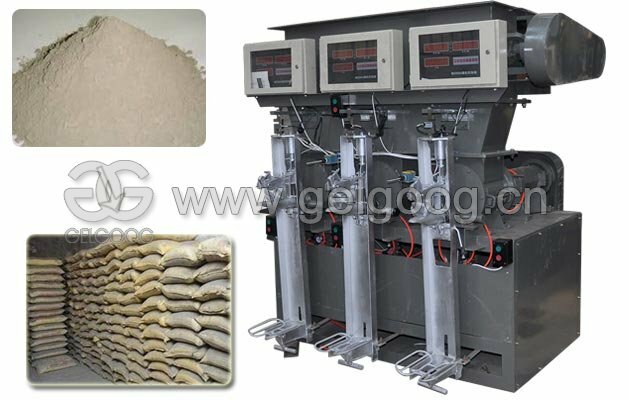 It has the function of frequency conversion technology. More safer, more convenient, more energy efficient. 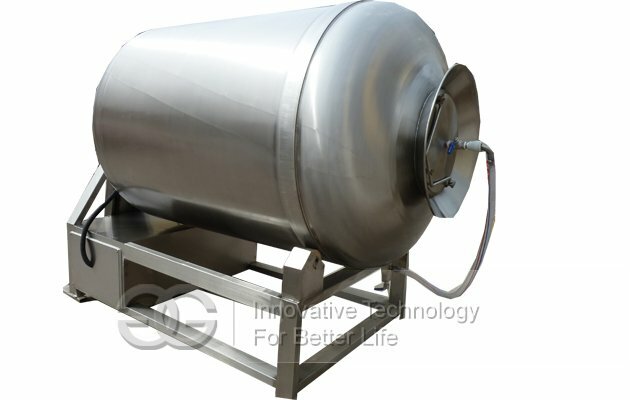 It is made of stainless steel, compact structure, On both ends of the roller adapts Spinning type cap seal structure, Increase the break space inside the drum, So that the product can get uniform tumbling, roll kneading effect, and with low noise, reliable performance, easy to operate,and high efficiency.It plays an important role in food processing,mainly used for food processing laboratory, institute of food engineering laboratory, school canteens and catering industry. 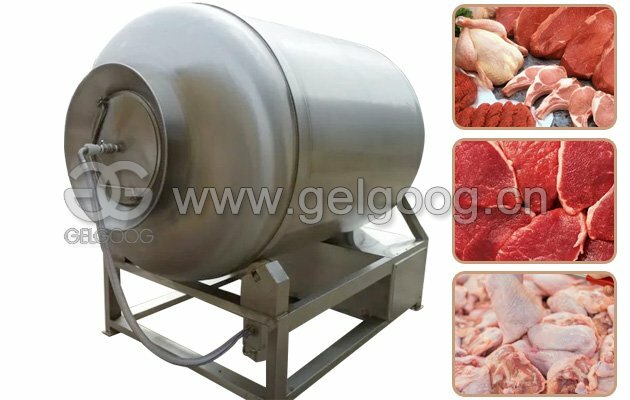 1.Meat vacuum tumbler can make uniform absorption pickled meat, can improve the flexibility of meat adhesive force and products. 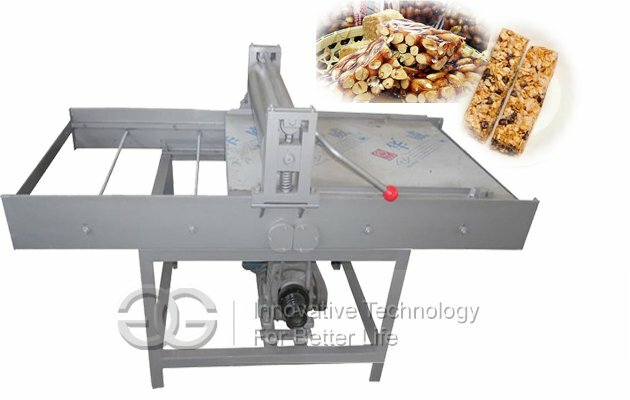 2.Can improve the taste of product,improve the meat or product’s water retention,increase the production rate. 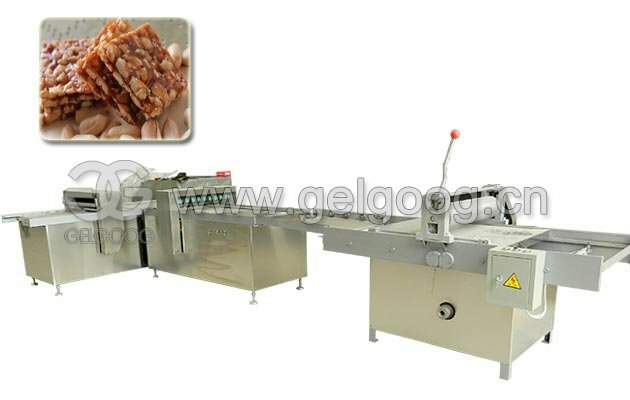 3.Improve the internal structure of products, energy efficient. 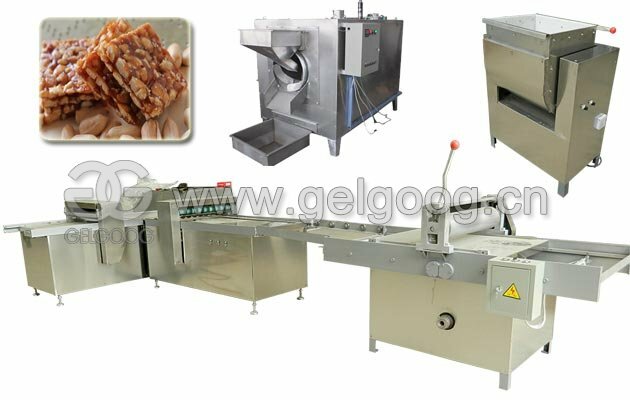 4.All of our machine is made of stainless steel,structure is compact. 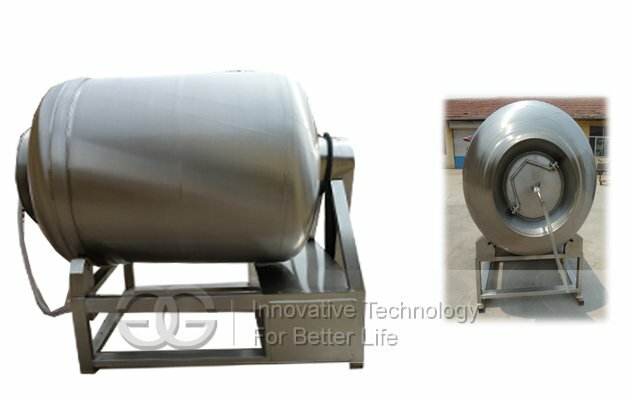 5.Both ends of the cylinder adopts to spinning closure cap structure,increase the beating space inside the drum,so that the effect of tumbling product uniformity. 6.Low noise, reliable performance, easy to operate, more efficiency high.